Details of the Posts: Deputy District President, Deputy Superintendent of Police, Superintendent (District Jail), Accounting Officer/ Assistant Director, Commercial Tax Officer, District Excise Officer, District Registrar, Employment Officer, Assistant Commissioner & Assistant Registrar of Co-operative organizations, Labour Officer, Chief Municipal Officer, Assistant Director, Chief Executive Officer (Janapad Panchayat), Block Development Officer, District Coordinator, Area Coordinator, Child Development Project Officer, Assistant Regional Transport Officer, Assistant Superintendent of Jail, Commercial Tax Inspector, Excise Sub Inspector, Deputy Registrar, Naib Tehsildar, Assistant Inspector/ Cooperative Extension Officer, Assistant Labour Officer etc. Friends MPPSC generally conducts State Civil Services Exam in three stages: Preliminary Exam, Mains Exam and Final Interview. Preliminary Exam contains Objective Type Question whereas Mains is a written Examination. For your convenience we are providing you with complete details of Examination Pattern and Syllabus (परीक्षा पाठ्यक्रम) of State Civil Services Exam. 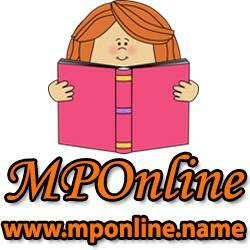 It includes all details such as subjects of papers, duration of exam and maximum numbers. Please click on below Link for full details.. Apply Procedure: Eligible candidates can apply online from the website www.mponline.gov.in, www.mppsc.com & www.mppsc.nic.in before the last date given in the Notification. 1. First candidates have to scan their photo and signature. 3. After filling the application form candidates have to make the payment through Kiosk. 4. Check all fields and click on Submit button. 5. Then there will be a pop up window comes with the message regarding the submission of online application. 6. For making necessary corrections in the online application candidates have to make payment of Rs.50/- & can change the details during given dates. 7. After submission of application form, take printout of the submitted application for future use.